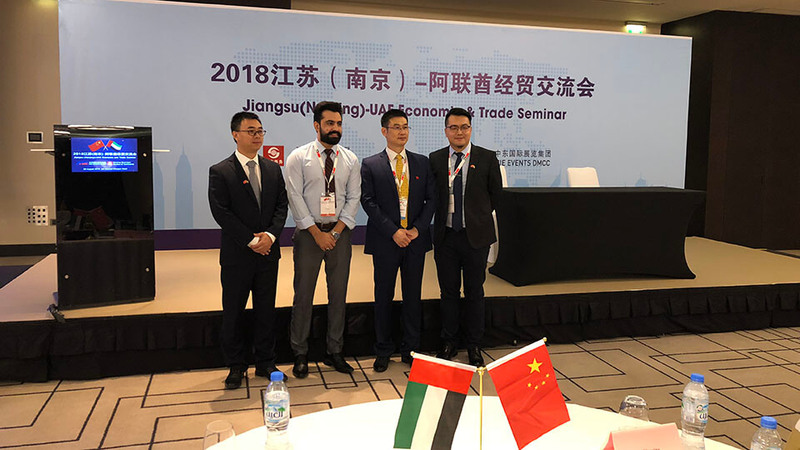 The Nanjing-UAE Economic and Trade Fair, jointly organized by Nanjing Commercial Bureau and Middle East International Exhibition Group, was successfully held in JW Marriott Marquis Dubai. 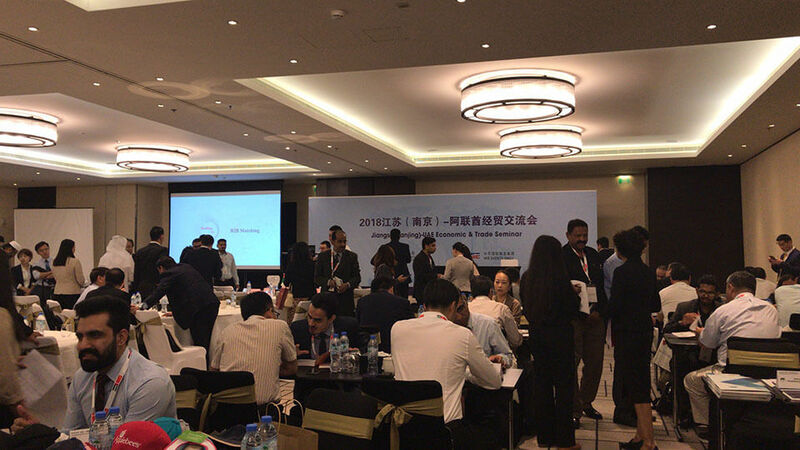 Before the meeting, the delegation of the Nanjing Municipal Bureau of Commerce put forward the hope and request for the two sides to strengthen economic and trade cooperation. At the meeting, the delegation of the Middle East International Exhibition Group put forward suggestions, ideas and ideas for further strengthening the economic and trade exchanges between the two sides on the current situation, potential and prospects of economic and trade cooperation between the small and medium-sized enterprises of the two sides, and expressed full confidence in the future economic and trade cooperation between the two sides. The two sides took this event as an opportunity to actively build a platform, broaden the scope of cooperation, expand the scale of cooperation, and promote common development, complementary advantages and mutual benefit and win-win situation.